Social media is definitely not the place to go if your skin is not thick enough to handle a bit of trolling and this is clearly reflected in the case of ex-lovers who took to the Twitter platform to air their dirty linens. Earlier on, Legit.ng reported the news of how a Nigerian lady abroad, took to the platform to call out her ex-boyfriend for hypnotizing her into giving him lump sums of money. She claimed that when she became aware of what had happened, he threatened to release unclad photos of her if she decided to go public with the issue. 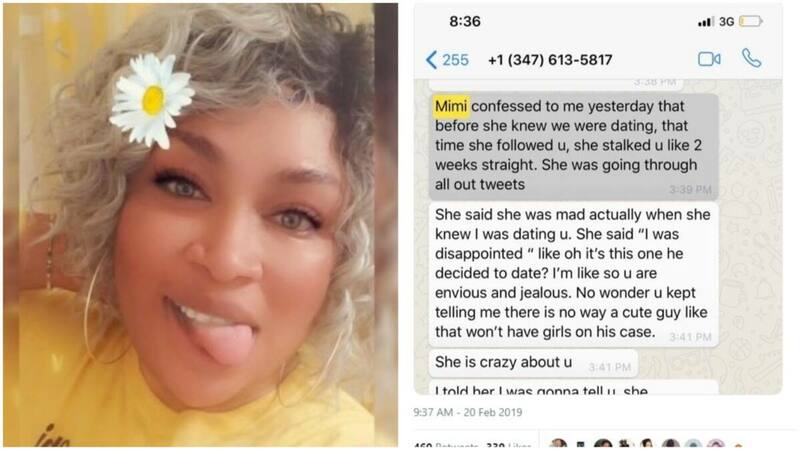 Well, it appears the war of words between the lady identified as Mimi and the accused, Jack, has set social media buzzing with reactions from people, most of which are completely hilarious! Nigerian OAP Daddy Freeze also reacted to the gist, likening the story to the situation of Nigerian churches. While some Twitter users did not buy the story, others used it as an opportunity to motivate women to work hard for their money and also focus on controlling themselves in terms of emotional vulnerability. This Twitter user believed there are more important things that should be the focus of Nigerians on social media. Trust Nigerians to turn a seemingly serious issue into their own personal stand comedy shows!